We 3D printed three different parts of the fire pit and then made silicone molds of the prints using Moldstar 30. 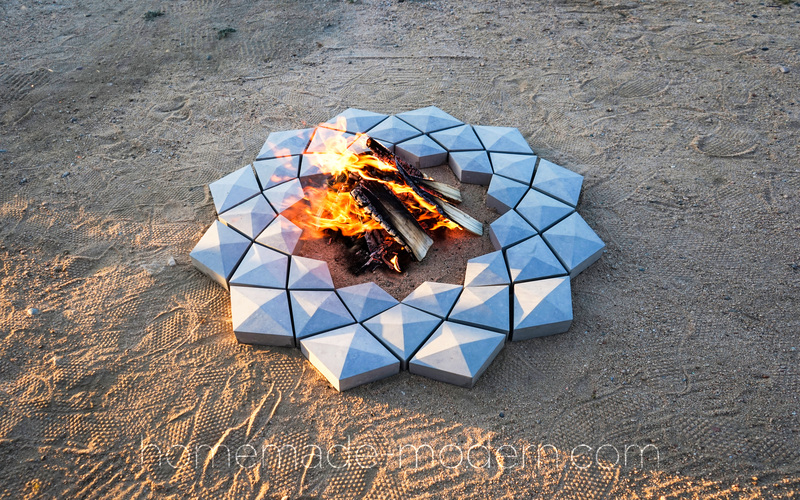 We used Quikrete 5000 concrete mix in the silicone molds to make the final blocks for the fire pit. All of the 3D modeling was done in Autodesk fusion software which is free to download and use for non-professional use. A Robo 3D printer was used for the printing. The following links are for the 3D files: 1 (small). 2 (medium). 3 (large).